I often take this train that goes from 205th Street in the Bronx, through Manhattan , and finally all the way to Brooklyn in Coney Island. It is one of the most widely used trains on the New York City subway system. Today, I’m taking this train from the Rockefeller Center Station at 47-50 Streets all the way up to the Bronx. My stop is going to be 161st Street and River Avenue , now known as Rivera Avenue after former New York Yankees star, Mariano Rivera , to Yankee Stadium . There is another Yankees game going on, so the station and train is more crowded than it usually is . This train is an express train, which means that it skips many stops, mostly in Manhattan . After it gets to 59th Street at the Columbus Circle station, it goes express and doesn’t stop until the train reaches 125th Street in Harlem. The train might be crowded and the seats are uncomfortable , but you will be using this train a lot if you come to New York City . Today was very nice here in New York and I decided to go on a 30 Plus Teams Tour of the New York City subways . I decided to go today because the next couple of days here in the city are supposed to be very bad with hail and a tornado watch, something that we usually don’t get here in New York . I know that I have to take care of some business on 66th Street and Braodway, which is where you get off for Lincoln Center, Central Park and all those shows filmed live at the ABC Television Studios. I’m walking up to 79th Street for another visit to the American Museum of Natural History , but after that I have no idea where my tour on the number 1 train is going to take me. The train is a local train, making every stop from South Ferry station all the way up to the Riverdale section of The Bronx at 242nd Street . Eventually , I got off at 157th Street and Broadway, but there’s so many things to see at every station, so that’s why my post on the number 1 train will have two parts. Every station even has art and this being New York City , even the sidewalks have some kind of weird looking art. I can tell you, though, if you want to visit Columbia University at 116th st or Grant’s Tomb at 121st, this is the train that you’ll take. This is one subway line that I don’t ride that often, if at all. The Q train is one of the oldest subway lines in the city. The train used to begin in Queens at Ditmas Boulevard, run through Manhattan , and then go all the way to Brighton Beach in Brooklyn . It doesn’t leave from Queens anymore. It still goes to Manhattan and ends in Brooklyn . It begins at 96th Street and Second Avenue in Manhattan . The Second Avenue part of the train makes stops at 72nd, 86th, and 96th Streets on Second Avenue . New Yorkers of a certain age, like myself, remember when the city fathers talked about having the trains run on Second Avenue, but it never happened. It would have made it easier for those of us who lived in either Brookkyn or Queens to take this train if we worked or went to school on the upper east side, which is what Second Avenue is. It finally happened a few years ago and the stations are beautiful and very unique . My own 30 Plus Teams Tour of New York City took me to two of the stations, 86th and 96th Street, which is the last stop. Excelsior is the word you see on the state of New York flag and since 1776, E Pluribus Unum has been the motto of the United States . It means “Out of many, one”. the downtown and uptown sides of the subway. The sign spells out The Second Avenue Subway. The 30 Plus Teams Tour of New York City has started up again. This time I’m riding the R train from Queens to the city. I know what some of you must be thinking . 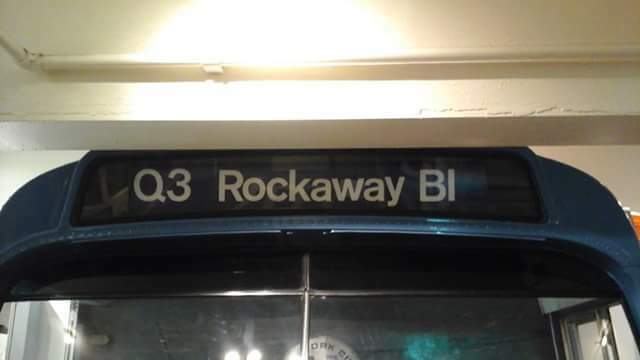 Don’t subways in New York City have anything besides numbers and letters on them? No matter what subway line you take in the boroughs of Manhattan , Queens, the Bronx, or Brooklyn , you’re going to see a number or a letter. Staten Island has their own rapid transit and no numbers or letters that I know of. I could tell you what the numbers and letters of all the trains are and where they go, but that would be another blog post for another day. Look for it though, in an upcoming post where I just ride the subway! Right now, though, I’m going to tell you about one of the subway lines, it’s the one I’m on today, the R train , which begins at 71st. Street and Continental Avenue in the Forest Hills section of Queens , and goes all the way to 95th Street in the Bay Ridge section of Brooklyn. The train also goes through Manhattan. You can take this train if you want to see City Hall, the Brooklyn Bridge , get a connection to the South Ferry, which runs all night by the way, the World Trade Center and Fifth Avenue, the station that I got off at. The R train has orange and yellow seats, and I’m not going to lie, the seats aren’t very comfortable at all. Unlike the other trains that I rode, the PATH, J and number 7 trains, at no time does this train go above ground and outside. So don’t look to take those pictures of the city or the outer boroughs . It’s not going to happen on the R train. If you want to see the madness that’s Times Square , though, you can take the R train and get off at the 42nd Street station, or to be in the heart of the Times Square action , get off at the 49th Street Station. I had just left 45th street and Fifth Avenue in the city . I was going to the next stop on my own 30 Plus Teams Tour of New York City . I was going to The Cloisters, all the way up at 190th street . I could have taken the A Train at 42nd street to get to 190th street , but after that I would have had a very long walk to get to the museum . From growing up in the city and knowing the New York City bus and subway system like I know the back of my hand, I knew exactly what bus to take, the M4. It stops right in front of the museum, so the only walking you have to do is walk in the front door and admire the art from the Middle Ages . A few things to know about the New York City bus system if you happen to be in New York City . Like the subways , they are part of the Metropolitan Transit Authority , the MTA . Unlike the subway , the blue seats on the buses are clean . They really don’t want people eating or drinking on the bus. But this is New York City , people are going to do it anyway and nobody is going to stop them. You must have exact change if you don’t have a Metro card. The drivers carry no change and the fare boxes don’t accept dollar bills. Dollar coins yes, but dollar bills nope. Have those Metro cards ready when you board the bus. You can get them at stores or if you happen to use the subway . 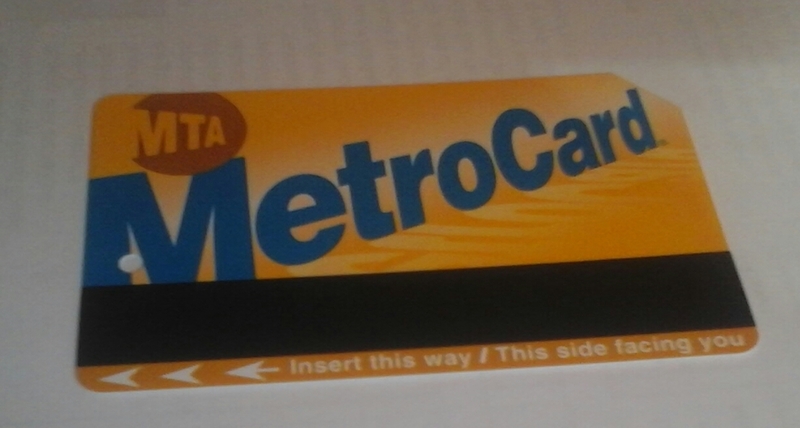 Same Metro card works for the bus and subway, as well as the PATH train if you happen to be going to New Jersey . The New York City buses are blue and white. Some are blue and yellow and now some of them have WiFi . If you happen to see a bus with the words “LIMITED ” on it, the bus isn’t going to make every stop, just certain ones . You’ll see these buses mostly on morning and afternoon rush hours. It’s the local buses that you want. If you aren’t sure where exactly the bus goes to , ask the driver before you get on. Better yet , do your research BEFORE you get to New York or in your hotel, hostel , or Airbnb before you go anywhere . The bus stops are clearly marked with red, white and blue signs with numbers on them. The numbers are marked with letters according to what borough you’re in. Let’s make this simple for you. We’ll use the bus that took me all the way from 47th street and Madison Avenue up to 190th Street and Margaret Corbin Drive as an example , the M4. The letter M before the bus number tells you that this route goes in the city, Manhattan . If the bus number was Q4, you don’t want that if you’re going to the city. The Q in front of the number tells you that this is a Queens bus. 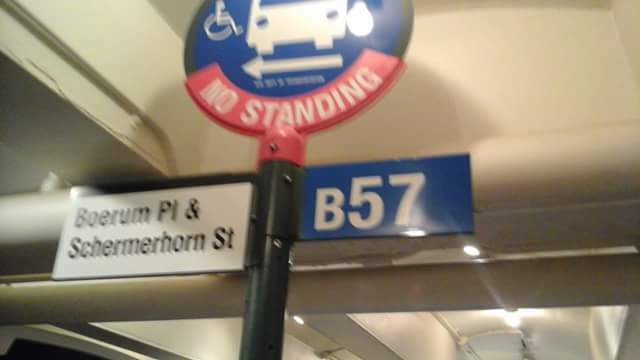 If the bus number was either B4, B4 or SI4, you got it. Your bus was either in Brooklyn , The Bronx or Staten Island, so make sure you take the right bus. Another thing to know about the buses in the city . If you’re going Downtown , the bus will be going down Fifth Avenue , where you’ll get up close and personal with most of Central Park, as well as “The Museum Mile”, depending on where you catch the bus . If you’re traveling Uptown , the bus will be going up Madison Avenue . Since I was traveling up to 190th Street , the M4 bus went up Madison Avenue . As usual , it took a long time due to the infamous New York City traffic . The ride took almost an hour and a half . Along the way if you take the M4, you’ll be passing Columbia University on 116th Street and if you continue onto the Washington Heights section of the city, at around 178th Street , you’ll get a glimpse of the George Washington Bridge , which separates New York City from New Jersey . On a clear day , the view of the bridge is breathtaking . If you’re going to The Cloisters like I was, get off at the very last stop. Riding the bus doesn’t only work for going to the Cloisters , but check with the front desk clerk if there’s a bus stop close by and just take a ride to the last stop on the bus, no matter what direction it’s going in. This is a great way to sightsee if you’re in the city and all it costs is the price of a Metro card , $2.75. Take the bus instead of the subway . It may take a long time but enjoy that long ride on the New York City buses and take in the scenery .